Sports bikes are truly an engineering marvel. There are several types of sports bikes available on the market today – most of which are geared towards the speed junkies. These super machines are capable of achieving high speeds and fast accelerations. But that emphasis on speed is tempered by its ability to decelerate and maneuver safely. The best of the best sports bikes are those you can see being used in MotoGP races. For motorcycle enthusiasts who are interested in sports bikes, they have to realize that sports bikes require the rider to sacrifice comfort for speed. This machine is built to be aerodynamically sound, and this means little room for aesthetics. The bike’s ergonomic features also take a hit all in the name of aerodynamics. But speed freaks will surely savor each rev of the engine as sports bikes boast some of the most powerful motorcycle engines available in the market today. These are scaled-down versions of the sports bike. Think of the entry level bike as the little brother of the sports bike. The main purpose of the entry level sports bike is to introduce the concept of the sports motorcycle to bike enthusiasts who may be new to motorcycling or are not that comfortable with speed. The entry level bikes are more economically viable, not costing as much compared to the more powerful bikes. They are also easier to maintain and can accommodate riders of all sizes and heights. 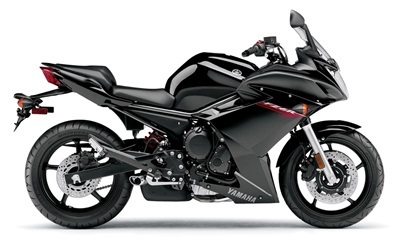 Examples of entry level sports bikes are the Yamaha FZR6, Suzuki GS500 and the Kawasaki Ninja 250. The small capacity sports bike category are bikes with engine sizes ranging from 125cc to 400cc. These bikes are fast but not racing fast. They are smaller in size to suit the smaller riders. These motorcycles are also generally lightweight. But power is compromised by the small size. The small capacity sports bike is great for city driving. You get the speed to zip past heavy traffic while getting great handling due to its weight. 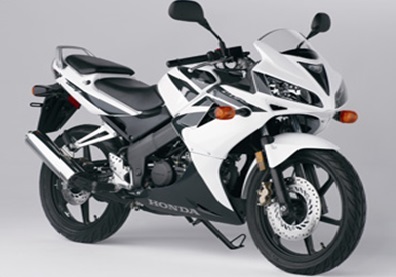 The Honda CBR125R is a good example of the small capacity bike. A super sport bike is a beast of a machine on the race track. They’re designed to give the rider the speed needed to compete in racing competitions. They have a larger sized engine with displacements ranging from 600cc to 800cc for super sport and 800cc to 1,200cc for super bikes. These bikes are heavier, with a typical super sport bike weighing close to 400 lbs. Shorter riders may not be able to maneuver well with the super sport bike and taller riders may find it an uncomfortable ride. But these babies are truly fast and can leave most other bikers eating dust. Examples of super sports and super bikes are Honda CBR600RR, Kawasaki Ninja ZX-6R, Suzuki GSX-R600, Ducati 1098, Honda CBR1000RR and Yamaha YZF-R1. Hypersport bikes have insane engine sizes that go up to 1,400cc. The top speed for these engineering marvels are beyond those of normal street race cars (up to 290 kph or 180 mph). They’re built for speed and acceleration. The Hypersports bike is bigger than the super sport and the super bike. They’re harder to handle and maneuver, but they provide better comfort to the rider because of the size. 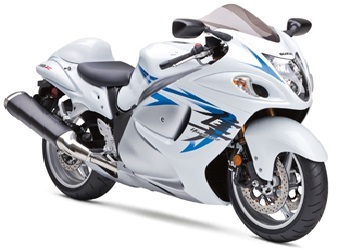 Hypersports bike examples: Honda CBR 1100XX, Kawasaki Ninja ZX-14 and the Suzuki Hayabusa. Those are the types of sports bikes out on the market today. You can bet that even the entry level bikes can more than hold their own on the race track. 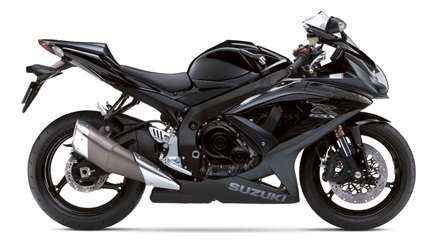 If you’re a motorcycle enthusiast then you should definitely check out the sports bikes. They can fulfill your need for speed in a way that a sports car can’t. You’ll turn a lot of heads riding in one. Just remember to wear your helmet and other protective gear. The risk of accidents magnify when owning a sports bike, owing to the tremendous speeds these bikes can achieve.